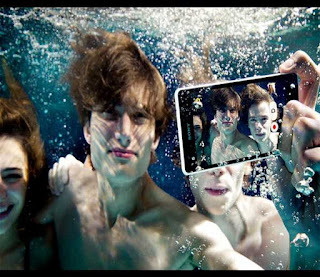 Sony's next Android smartphone model, Sony Xperia ZR, lets users to shoot full HD videos underwater. According to company sources, it will shoot videos 5 feet deep under water while its current flagship model Sony Xperia Z, can be submerged into 3.3 feet of water. Specifications wise, Xperia ZR will be same as the Xperia Z: like 4.6-inch screen, 1.5GHz quad-core Qualcomm Snapdragon processor, 13-megapixel camera, able to shoot Full HD videos in underwater and 2GB of RAM. But, both devices, can be used only in "fresh water," means you can not shoot during 'ocean's dive', i am wondering that what is the use of this underwater shooting feature then? Whatever, Sony Xperia ZR will be released in Q2 2013 at a yet-undisclosed price. No official announcements yet about release date of this phone.